I was lucky enough to be in Normandy for the 70th anniversary of the D-Day landings. For years veterans have travelled to Normandy on the 6th June to remember their comrades who never made it back from the beaches. 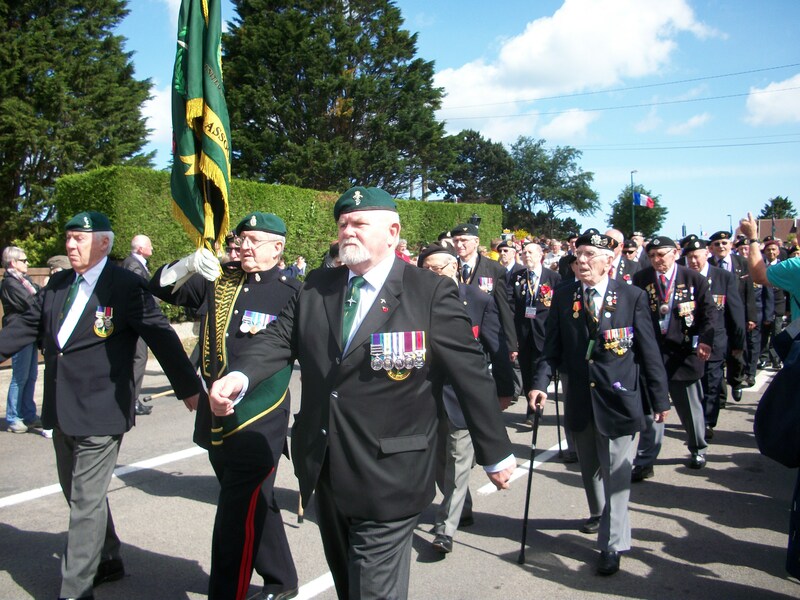 However for many of the veterans in attendance, it would be their last visit, as this year’s commemorations are the last to be officially marked by the Normandy Veterans Association which is disbanding in November. I had previously visited the area ten years earlier for the 60th anniversary of the D-Day landings, when my family and I had taken my grandfather over to collect his 60th anniversary medal. This time around, everything was on a much larger scale, there were events all along the Normandy coast and politicians and dignitaries from all over the world would be in attendance. With so many events and ceremonies taking place it was impossible to attend them all. Our first stop was Colleville-Montgomery, where a ceremony was to take place at Monty’s statue. At 11am the veterans marched in with standards held high, the response they got from the crowd and townspeople was amazing. After taking their seats, the Mayor of Colleville-Montgomery addressed the crowd and relayed his thanks to the veterans. 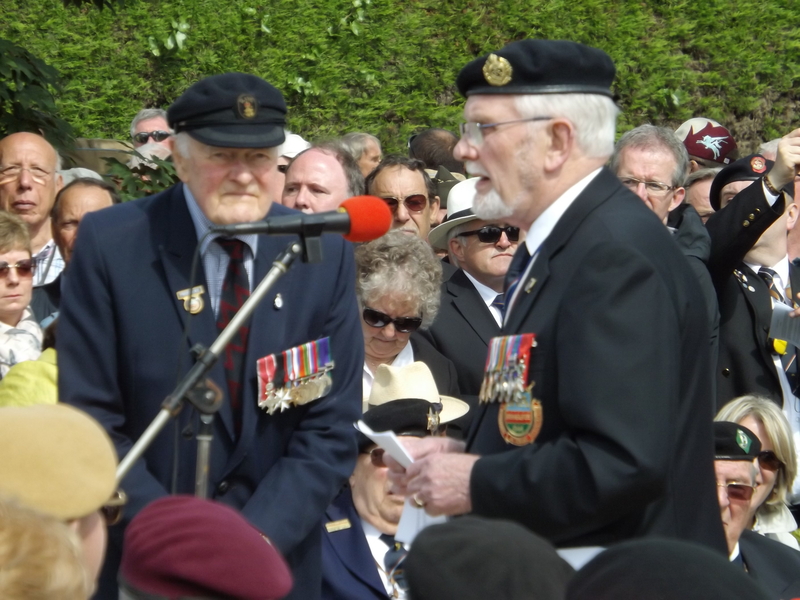 Next were speeches by George Batts and David Baines of the Normandy Veterans Association. The following day we headed for Arromanches, site of Gold Beach, where British troops arrived on D-Day. When we arrived the town was packed, it seemed like the whole of Normandy had come out to show their gratitude to the veterans! After a late lunch we made our way down to the square in front of the D-Day museum for another ceremony. Unless you had a pass it really was standing room only, luckily my pass had arrived from the Ministry of Defence just a few days earlier and I headed for the seating area in the middle of the square. 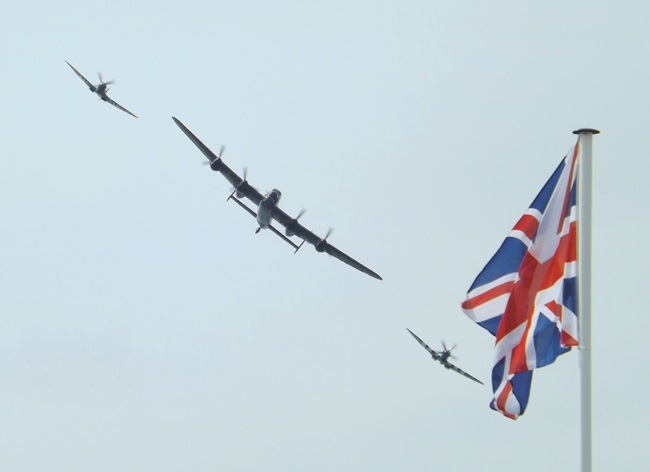 Before the ceremony started, the crowds were entertained by flypasts by the Battle of Britain Memorial Flight. The planes looked spectacular with their distinctive D-Day markings. Around 5pm, the Brass band started and the veterans marched once more into the square. 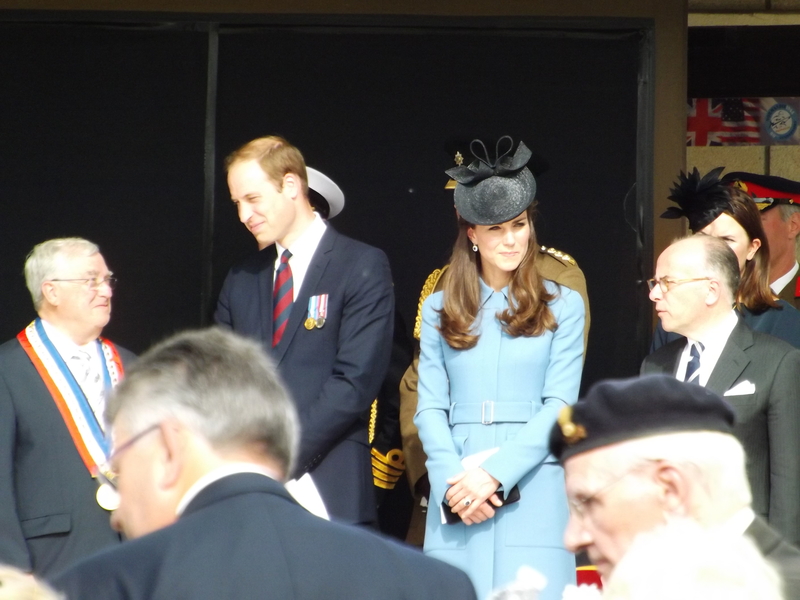 This was followed by a speeches by the Mayor of Arromanches and the Duke of Cambridge. Although it was a memorial service, the mood was upbeat and included sing-alongs like “We’ll meet again” and “Auld Lang Syne”. As the ceremony came to a close, it dawned on me how lucky I was to be there for this historic event and to be able to show my appreciation to these brave men. And although the NVA will not be in attendance in the future, the people of Normandy, the family of veterans will continue to honour the memory of these men in the years to come. To mark the 70th anniversary we are proud to announce we have worked with the Normandy Veterans Association to produce an exclusive brand new limited edition set of commemorative covers personally signed by 12 Normandy veterans.